All speculations and predictions proved wrong as the most favourites Ivory Coast elephants were beaten by humble Zambians in a penalty shootout after a goalless draw in the final. 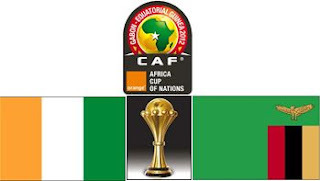 It is Zambia's first Africa Cup of Nation win. Zambia outplayed their opponents for large parts of the game to complete a sensational tournament which they had started as rank outsiders and beat Ivory Coast 8-7. Ivory Coast might have won the game inside 90 minutes but captain Didier Drogba skied a 70th-minute penalty well wide.